1) Most people only pay lip service to lean. Painful, but true. In both casual conversations in our community and full blown custdev interviews I found the full spectrum from strict implementers like John Prendergast and Matt Mamet (coincidentally co organizers of the local Lean Startup Circle Boston) to people who claim to be lean and think it has anything to do with how little money they spend (names withheld to protect the innocent). 2) Lean is a hands on activity. The key to lean really is the human interaction; knowing when to ask an interviewee “tell me more” or deciding what analytics to deep dive to match up against your anecdotal discussions can’t be productized directly. It’s also risky to outsource since it’s so core to the future of your business; no amount of meetings, notes and summaries can compare to being there and doing it yourself. There’s huge opportunities to teach companies how to become lean, but I’m passionate about building a product, not a services business and I’m not sure most companies are ready to invest in lean (see 1). 3) Small startups are more likely to be lean and less likely to need process. 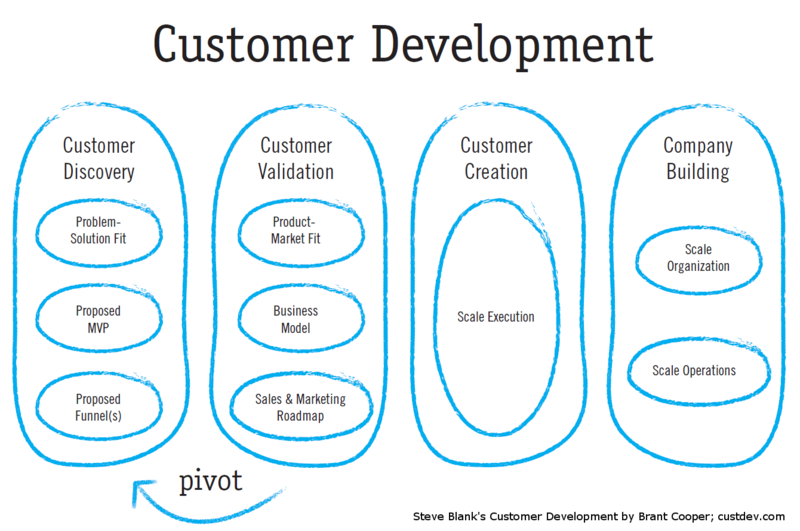 Part of the challenge of the adoption curve of lean is that it has most strongly permeated the zero stage entrepreneurs; they’re the ones with time and motivation to watch the videos, read the books and stay up on all the blogs (which has come a long way in the last year or two since all we had was the Four Steps to the Epiphany to go on). Unfortunately, those people have little to no budget and because of only having a few people on their team, there isn’t much of a need for tools. Everything can be done ad hoc when you’re that small. The most common behavior when you have 5 or less people is to remove your headphones during the work day and share your findings immediately with everyone on your team. This is effective until you grow to the point that everyone doesn’t know everything that everyone is doing (usually around 8-15 people). Managing product while being a growing, lean startup requires significant discipline. Not all companies have product leaders with this strength. Many companies build up product management debt as they grow and fail to adapt to the demands of a team that passes the “take off your headphones and talk” phase. Multiple challenges arise in engaging all members of a company at the right times in the right way. My next post explains what I’ve found. Read on to see the big picture potential for a lean focused product life cycle.